It's been a while since the Fortress got some attention. As I stated on another thread, it never leaves the back of my desk. Last evening I couldn't sleep so I decided to do some sanding and filling on the wings. They're ready for another coat of primer and some final touching up. These Monogram wing sections have rather poor fit on the nacelles that takes a lot of work, even moreso since I've removed the turbochargers and ducting. Except of fitting, I guess you need additional work on panels? Yes, I haven't even started the panel lines. This kit has raised panel lines and this will need some work. What was done about this project? This one is still sitting at a prominent space on my desk! 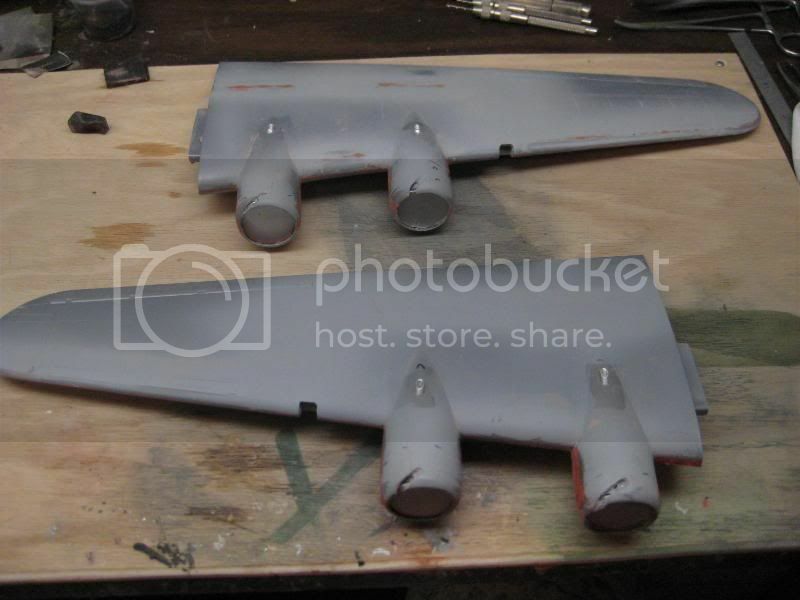 I recently did a small amount of work on the wing skinning and the project is always in front of me when I am modeling. 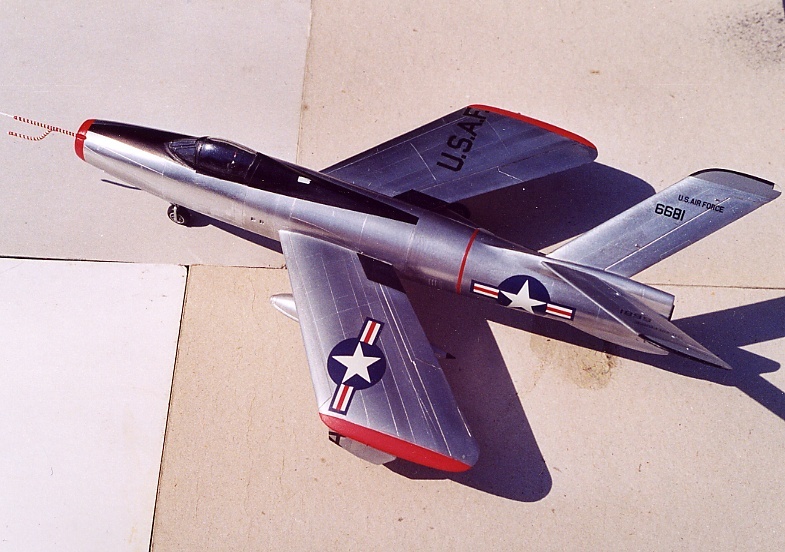 Both this and the SAAB B17 have, for some reason, not gotten any attention on my part. They will be finished, someday!! Thanks for the encouragement to continue! Okay, I should carry forward on this one, I reckon! 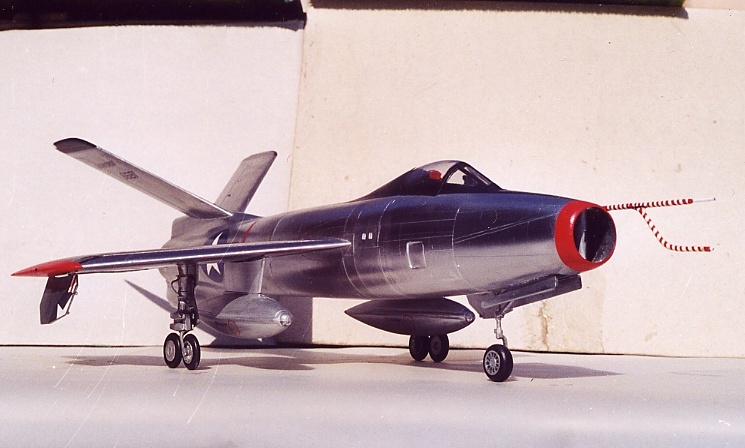 My longest buildind of a kit was the XF-91 Thunderceptor in 1/48 scale... I had to mix two kits to obtain an acceptable model. From the beginning to the end, almost 20 years elapsed... Yes, you have read well : twenty years. The most difficult was to find documents. That was a time without the internet. Wait... you have make this incredible metal finish by hand brush? Yes, by hand-brushing with Humbrol Metalcote "Polished aluminium". 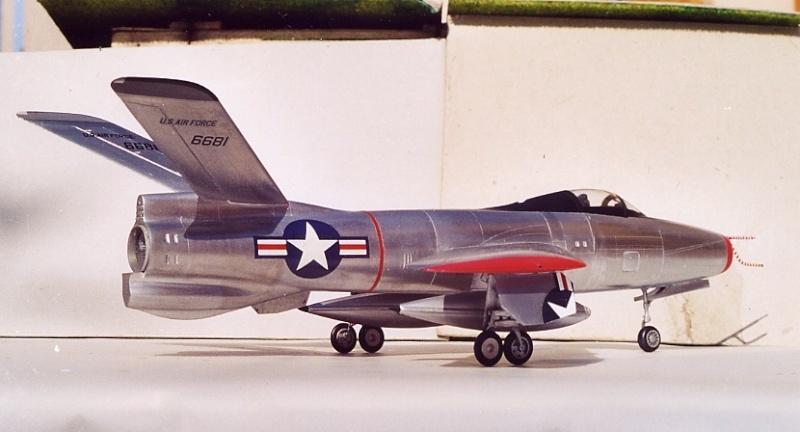 The kit was finished in March 1999 and all along this long time the metal became a little oxydized.